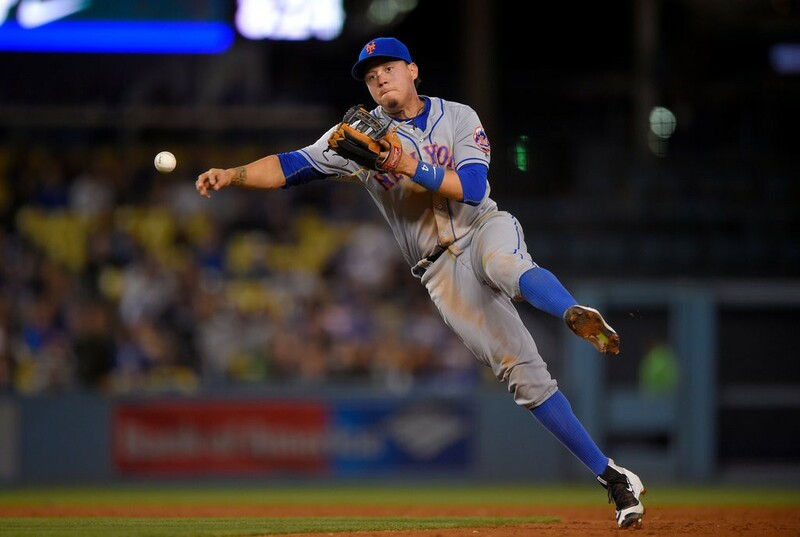 The Arizona Diamondbacks made a move to add to their infield as they have signed free agent Wilmer Flores to a one-year contract with a club option for 2020. The deal will promise Flores a salary of $4.25MM this year and includes a $500K buyout on the club option which is valued at $6MM. All told Flores is guaranteed $4.75MM in 2019 but could potentially earn a total of $10.25 over two years if the Dbacks exercise their option. Flores, 27, had spent his entire six year career thus far in Queens with the New York Mets after being drafted in 2007 as an amateur free agent. Flores, known for his versatility, has appeared at every infield position in his career but spent the majority of last year at the first base position. Last season Flores batted .267 with 11 home runs and 51 RBIs over 126 games for the Mets. He is more known for his defense then his production with the bat although he has hit lefties well in his career. The production against southpaws did fall last year compared to years prior and we will have to wait to see if that is a trend that continues. In September Flores was diagnosed with early onset arthritis in both knees and was shut down towards the end of the season. That led to the Mets parting ways with him after the season instead of going through arbitration but the news does not seem to bother the Dbacks as they still gave him a guaranteed contract. It sounds like the Dbacks are planning to deploy Flores as their main second baseman this year while shifting former second baseman Ketel Marte to center. Arizona has been talking about moving Marte to center field for some time now so it is not exactly shocking to hear. Flores has spent the least amount of his games at second base, 733.2 innings over 101 games, and with news about his knees it should definitely be interesting to see how it plays out. The Dbacks have Nick Ahmed at short and appears Jake Lamb will take over the empty first base position leaving Eduardo Escobar at third. There are a lot of options in the infield for Arizona and with it only being January there is still time for more moves to be made.